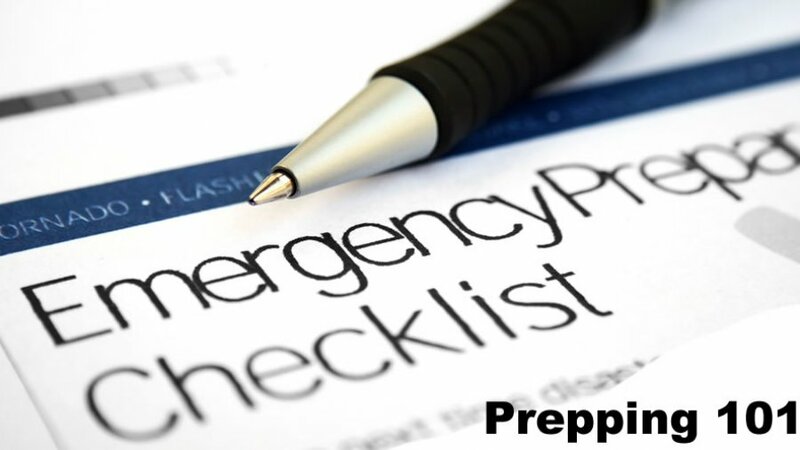 Home Survivalist Tutorials Prepping 101 Preppers Guide – Prepping for Beginners Emergency Water Storage: How Much Water to Store for Prepping? Determining Emergency Water Storage Needs. How Much Water to Store for Prepping? Emergency water storage. Having an ample supply of clean water is a top priority in an emergency. A normally active person needs to drink at least two quarts (half gallon) of water each day. People in hot environments, children, nursing mothers, and ill people will require even more. You will also need water for food preparation and hygiene. Store at least one gallon per person, per day. Consider storing at least a two week supply of emergency water storage for each member of your family . If you are unable to store this quantity, store as much as you can. If supplies run low, never ration water. Drink the amount you need today, and try to fin d more for tomorrow. You can minimize the amount of water your body needs by reducing activity and staying cool. You can go without clean clothes, shelter, and even food for a few days but without water, your body will start to decline pretty quickly. In fact, you can only last 3 days without water. Fortunately, emergency water storage is an extremely cheap resource to stockpile and replenish so all that you really need are a few things to store it in, a place big enough to hold the necessary amount, and the knowledge to know what you can drink and what you can’t. We’re going to review all there is to know about storing water so that by the time we’re finished here, you’ll have the information you need to store enough water to get you through a disaster. How Much Water to Store for Prepping? There are 2 types of emergency water storage that you’re going to need: potable and non-potable. Of course, if you store all of your water as potable, aka drinkable, water, then you can use it for other things but this can take up a ton of space. At a minimum, just for basic survival, you’ll need 1 gallon of drinking water per person, per day. If you consider sanitation needs, double that amount. When storing water, better too much than not enough, and you can always share it. There are numerous ways of safely storing water but by far the easiest way to store drinking water is to buy it in pre-bottled containers from the store. These bottles are safe to use, in theory, indefinitely but most experts recommend replacing factory-bottled water every 5 years. Purchase emergency water storage containers that are ready to use, such as water bricks, water barrels, or a Water Bob. You can also keep emergency water storage in sanitized buckets or containers. Make sure that the containers are food-grade and have never been used to store anything that may be potentially hazardous. They also need to be airtight. These should be rotated at least once per year. Re-sanitize the containers each time that you empty them. Use plastic drums to catch rainwater. This is a wonderful, natural source of pure emergency water storage and, if stored and purified properly, will be drinkable or at least suitable for hygiene. Finally, your hot water tank, back toilet tanks, and pipes in your house hold several gallons of water at any given time. Exactly how much depends upon the size of your tank and house but this water is perfectly drinkable. If there’s any doubt about whether or not the local water supply has been contaminated, shut off your water main before accessing these supplies. How Do You Purify Emergency Water Storage? Flat water can be revitalized by pouring it back and forth between containers a couple of times. Don’t store your containers directly on concrete as it changes temperatures and gives off moisture. Now you know how much water you’ll need and how to properly store and sanitize it. Rotate your stored water supply regularly by using it and replacing it either when you go to the store or when you empty the container. At some point, you may find yourself running out of stored water and finding sources of water to fill your needs will be crucial. To ensure that you have what you need to survive, it’s vital that you know how to find water in the wild. In our article, above we discuss how to determine how much water you need, and how you can store it so that it’s safe to drink. Now we’re going to talk about a few places to find water besides in your cellar or pantry. Retention ponds are built to catch rainwater. This may be an option for purification and drinking. Know the difference between retention ponds and waste ponds, though. Rivers and streams may be pure or they may become contaminated by pollution or by the disaster. Still, they’re viable and finding sources of water like these may mean the difference between life and death.They can be a source of drinking water when purified or non-potable as-is. Rain water is always a source of potable water. Use buckets to catch it directly and from your downspouts and you can suspend a tarp and catch the rainwater that way. Even in everyday life, rainwater is a great source of free water that you can use to water your plants, bathe, wash your clothes, or even drink after it’s been purified. Brackish water or salt water isn’t drinkable without significant purification and is best left alone. If necessary, you can use it for flushing toilets. Well water is a great backup source of water. If at all possible, drill a well or look for a property with a well when you buy a home. Even if you need to boil it or purify it, it’s a sustainable supply of drinking water. It’s important that your entire family knows about finding sources of water in case of emergency. Go on a family hike or water scouting trip and make these fun outings, because the best way to get to know your environment is to interact with it!